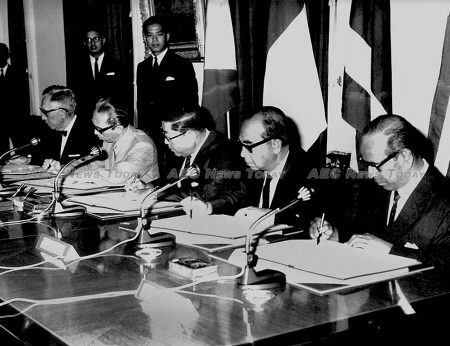 Fifty years ago Indonesia, Singapore, Malaysia, Thailand and the Philippines established the Association of Southeast Asian Nations (Asean). This association of primarily non-communist and relatively free-market countries was formed at a time when the Cold War was in full swing, and its end seemed to validate their confidence. The group expanded in the late 1980s and early 1990s to include Brunei, Vietnam, Laos, Cambodia and eventually also Myanmar (then Burma). 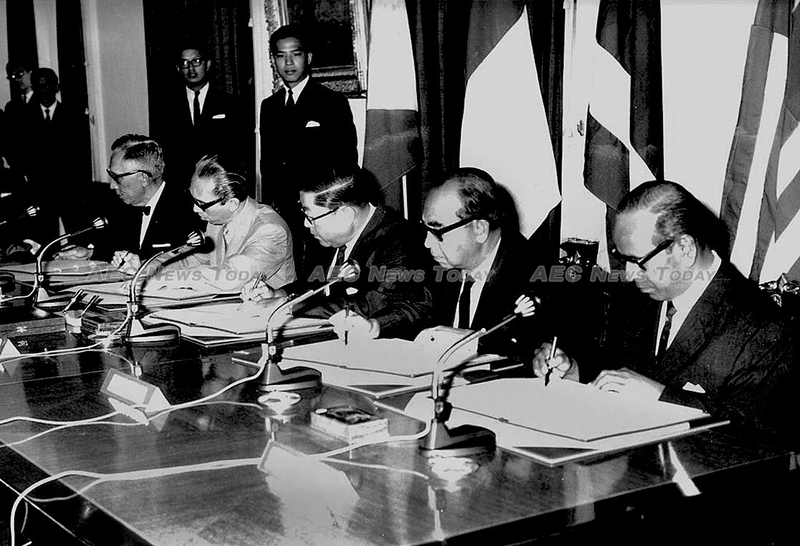 Since then Asean has fostered relative peace, and formed the basis for cooperation among its members. Given the diversity in their demography, histories, cultures, languages, religions, economies, political systems and economic bases, it is extraordinary that this association has managed to hold it together at all. In one sense the aspirations of establishing the Asean economic, political, and social communities have been realised. In the 50 years since its creation, Asean has facilitated a massive rise in intra- and extra-regional trade along with a commensurate rise in prosperity and security. Asean now stands with a GDP of US$2.5 trillion. Intra-Asean trade stands at over $545 billion and extra-Asean trade at $1.76 trillion. Australia–Asean trade in 2014 amounted to over $100 billion, which is more than Australia’s trade with Japan, the European Union, or the United States. In spite of this success, critics of Asean abound. They argue that Asean is becoming increasingly irrelevant in the face of pressures from China and economic problems in Europe, with some going as far as predicting its’ demise. Are these conceptions valid? Can the ‘Asean way’ of consensus-based policy choices remain relevant today? Asean has long looked to the European Union as a source of inspiration. Until recently, the EU model seemed so promising for many within Asean – those who aspired to a greater level of centralisation, integration and commonality – across economic, socio-political and security issues. Despite the lack of a common currency, and the absence of a central, supranational bureaucracy, Asean member states are converging much like their European counterparts did in the 90s and 2000s. That said, the EU is currently under fire for its’ sluggish recovery following the global financial crisis. The apparent unraveling of the EU model – as exemplified by Brexit – could lead nations away from the path of convergence. Will this be the case with Asean? Before prematurely announcing the demise of Asean, it is important to think about what a world without Asean might look like. 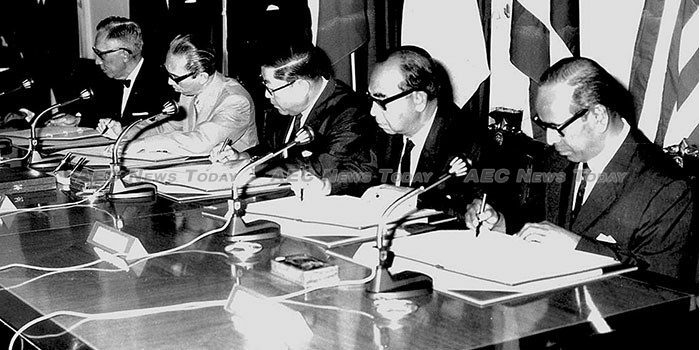 After all, Asean has enabled, and continues to enable, a remarkable amount of interaction between key government officials, ministers and business leaders on a range of security, economic, social, environmental, and other matters, that likely would not happen were it not for the existence of Asean and its’ associated forums. To extrapolate a fatal disease within Asean from the decline in enthusiasm for greater centralisation, is to conflate issues. Without question, China looms large for Asean. Its economic campaigns, of which the One Belt One Road (Obor) initiative is a notable example, are hard to resist. Further, its security policies have been hard to counter, with its strategy of co-opting Laos and Cambodia to prevent Asean summits from issuing joint declarations critical of China’s policy, particularly concerning the South China Sea. Critics look at this apparent dominance, and argue that Asean has passed its prime and is at least, partly in retreat. Observers attending the occasional Asean-related senior officials’ meetings or workshops often express frustration at the glacial pace of progress. Yet only a few steps back to appreciate the amount of progress that has been achieved. Given the inherent fragility of such a disparate grouping of nations, the issues that Asean has been able to address in the last two decades is extraordinary. Part of the reason for the enduring utility and centrality of Asean is because of what Indonesian President Joko Widodo described as the ‘maritime fulcrum’. He was referring to Indonesia, but it is perhaps more apt as a description of Asean itself. Much of the world’s trade transits through Southeast Asian waters, and the region is the key gateway between the Indian and Pacific Oceans. Besides that, Asean continues to provide a useful platform for intra-regional cooperation on a wide range of issues. It also continues to serve as a medium through which extra-regional powers can continue to engage, discuss, negotiate and avoid undue escalation of tensions. Asean member states appreciate the role Asean has played and continues to play in fostering regional security, stability, and prosperity. Asean has never conformed with Western aspirations for it to act with great resolve, purpose and decisiveness. Perhaps this is the very essence of the strength and enduring utility of Asean. In the face of growing great power competition, this versatile platform should be fostered and not condemned. This article was written by John Blaxland, a Professor of International Security and Intelligence Studies. He is the director of the ANU Southeast Asia Institute and Head of the Strategic and Defence Studies Centre. You can follow him on Twitter at @JohnBlaxland1. It first appeared on East Asia Forum under a Creative Commons license and is reproduced here with its permission.